It may sound fairly obvious, but the first thing to do when you decide you want to learn Tarot, is to make sure that the cards you have picked are actually Tarot cards . 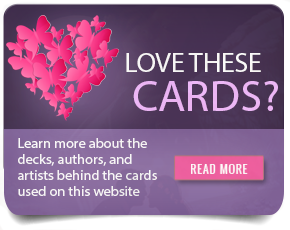 There are huge amounts of cards available and many different styles and systems. Besides Tarot, there are oracle cards, angel cards, Lenormand cards, Gypsy fortune cards, playing cards and the list just goes on, with new decks appearing almost daily. Generally, a Tarot deck consists of 78 cards (there are some exceptions and decks that have 79 or 80 cards, where the designer has added an extra card) which are divided into two arcana – The Major Arcana and The Minor Arcana. There are 22 cards in the Major Arcana, numbered 1 to 21 plus 0 which represents the Fool. These portray archetypal images and are the major events and life stories that we all experience. The Major Arcana is often referred to as The Fool’s Journey or The Hero’s Journey. The suits are numbers 1 to 10 and some decks display images, other decks have pips similar to playing cards. Also each suit has 4 court cards depicting personalities. Usually these are named as Page, Knight, Queen and King. Though again there are variations, sometimes Page and Knight are renamed as Prince and Princess, or in some decks, the courts are known as Daughter, Son, Mother and Father. The names change but the basic pattern is still there. What’s the best way to choose a tarot deck? Choose one you like the look of, something that is visually appealing, intuitively feels right and sits well in your hand. If you want to learn to use Tarot, then you are going to be spending lots of time looking at your cards and handling them, so it makes sense to choose something you will feel comfortable with. There are thousands of decks available, so take to time to consider how you want to use your deck. What will be its purpose? The Rider -Waite is considered to be a good starter deck but this is mainly due to it being the most written about and widely used, so there are lots of books and information that is readily available. There decks with themes to suit all tastes and beliefs. How do you remember all the meanings for Tarot cards? Tarot cards are a visual language, it’s like having an alphabet with 78 letters. In the same way that you’ll never memorize every word in the dictionary, you’ll never memorize every meaning for every card. Though what you will do with time and practice is learn how to make your own words and sentences in ways that are meaningful and relevant to you. Reading Tarot cards is a blend of learning and intuition to find your own unique story. 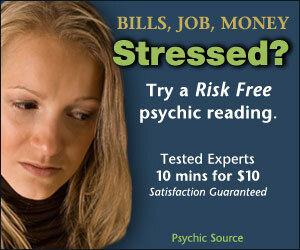 Karen Sealey has been a psychic for 25 years, and her specialty is Tarot. She picked up her first deck in 1988 and has since trained extensively in a wide range of holistic therapies. She’s had a diverse range of experiences, including writing for The Soul Path Magazine.